Figure drawing from this Tuesday night. 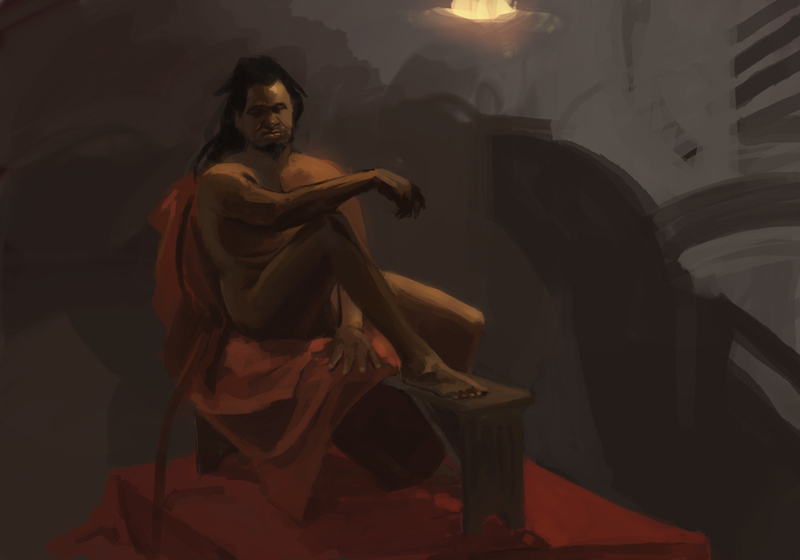 I went back to a more methodical process of drawing first then color with flats rather than straight painting. It’s a bit slower to start than straight painting, I’ve noticed, and I also am not considering overall composition in the drawing phase, I’ve realized. I saw Fury in theaters and also Big Hero 6, and I loved both films. I also enjoyed Book of Life quite a bit as well. I loved the character designs and animation and overall visual development in all these films. One of the interesting things about Big Hero 6 is that it was actually a Marvel superhero team based in Japan and adapted for a Disney film after Disney’s acquisition of Marvel. I am glad it turned out to be such a great film. Speaking of Marvel, I am so hyped for Spider-verse. 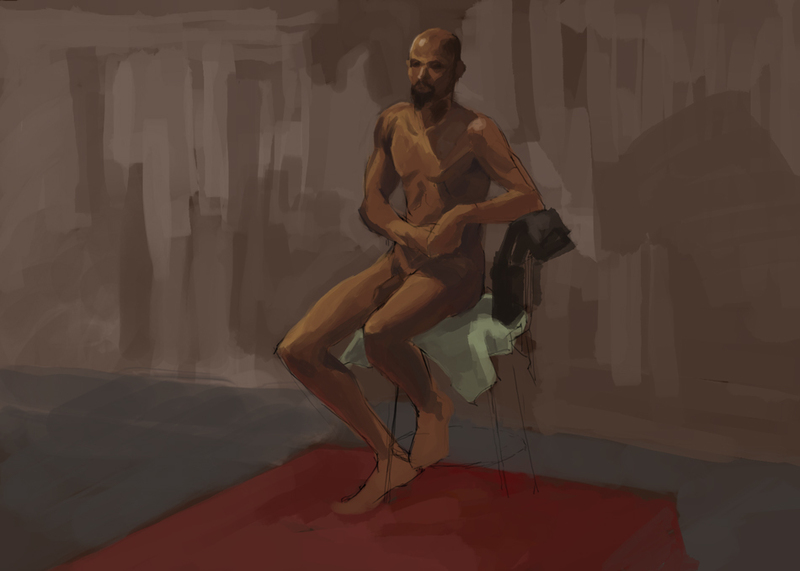 Here are the figure paintings for this and last week.